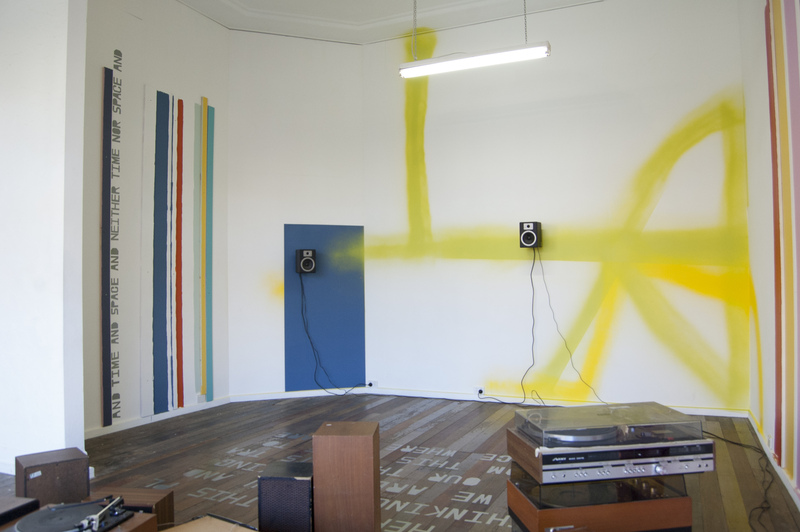 The collaborative projects of Mark Booth and Michael Graeve respond to space, environment, time, and ideas, and (18) … Insert TEXT HERE at BLINDSIDE is their third shared experiment. They met in Chicago in 2005, and collaborated on a colourful project at Light Projects and on a performance instruction or A Transcendental Fissure in the Immanent Fabric of Things. They perform the exhibition context as a layered laboratory to investigate the bringing-together and pushing apart of sound, image, text and space. Their works engage with lists and variations, similarities and profanities. In regards to lists, they might be up to point (18), where they will Insert TEXT HERE. The project doubts not the possibility, but certainly the logics of representation and likewise representations of logic…: If the result is that one finds concepts in words, or sounds in painting, or visual ideas in sound, then it’s likely to do happen through a nearly absurdist juxtaposition and layering. Thus one might add (but not that itself.